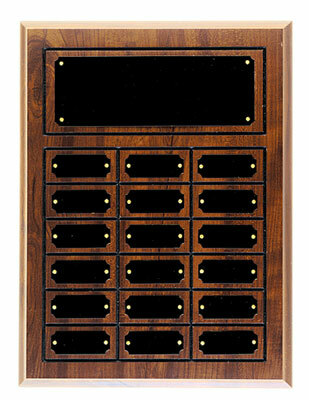 Perpetual plaques in your choice of size, number of name plates and wood type. 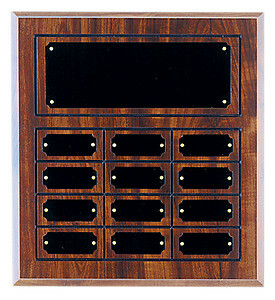 Select a cherry finish perpetual plaque or a solid walnut perpetual plaque. 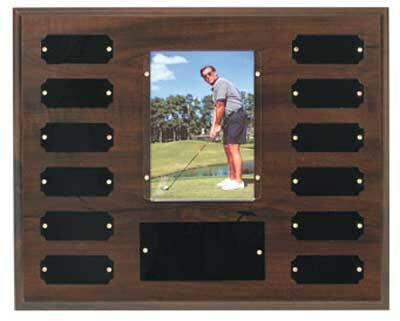 You may purchase a perpetual plaque with photo insert, available in cherry finish only. 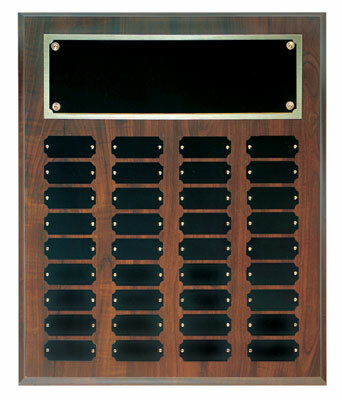 Engraving of your perpetual plaque is only 7 cents per character. Click on one of the perpetual plaques for more information and to make your purchase. If you have any questions please call 800-787-8777. 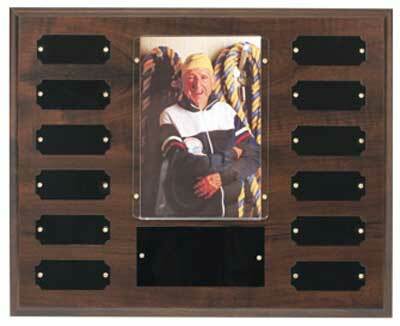 Perpetual photo plaque holds a 3 1/2" x 5" photo. Perpetual photo plaque holds a 4" x 6" photo. Perpetual plaque with header and 12 plates. Perpetual plaque with header and 18 plates. 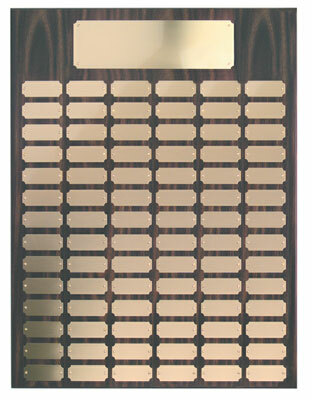 Perpetual plaque with header and 24 plates. 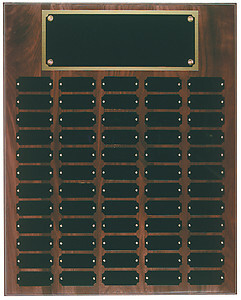 Perpetual plaque with header and 36 plates. Perpetual plaque with header and 60 gold color plates. 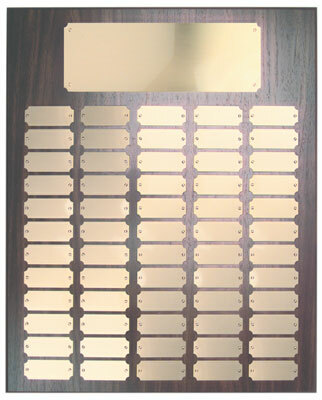 Perpetual plaque with header and your choice of 72, 84 or 102 gold color plates. 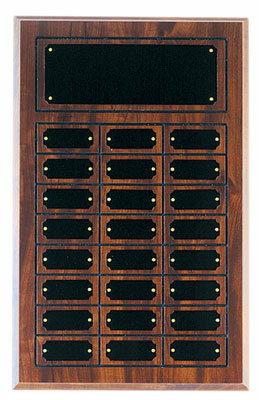 Genuine Walnut Perpetual Plaque with header and 60 plates.